Accessible, high-quality science education is a critical piece of a positive, forward-looking society. Furthermore, I believe that it is a fundamental obligation of publicly funded researchers to share their knowledge and passion for their subjects with the public. To meet these needs, I share my work through a variety of teaching and outreach activities. In my present role, as faculty of the Department of Geological Sciences at the University of Idaho, I teach courses on Glaciology and the Dynamic Cryosphere, Geomorphology, and Introduction to Physical Geology. At the University of Alaska, I taught the glaciers component of a 3-credit, 80-person, freshman-level class on Glaciers, Earthquakes and Volcanoes. At the University of Colorado, I was also the sole instructor of several sections of a lab and field trip introductory course in geology. I also served as teaching assistant to an upper-division course in geomorphology. 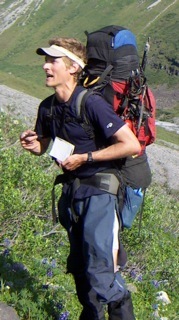 From 2007 to 2012, I was an instructor for the Alaska Wrangell Mountains Field Semester, hosted by the Wrangell Mountains Center in McCarthy, AK. In 2014, I joined the Board of Directors of the Wrangell Mountains Center. 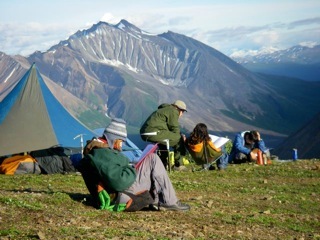 The Alaska Wrangell Mountains Field Semester is a seven-week, field-based course for upperlevel undergraduates. Topics are various, but generally center around natural history, including geology and ecology. During the course, I lectured on glaciology, geomorphology, accretionary tectonics of Alaska and other topics, as my students and I were prompted by the spectacular geology of the Wrangell Mountains. I advised student projects that range from energy budgets of the streams that flow over the surfaces of glaciers to artistic representations of the mountain landscape during the last ice age. Some of the talks I’ve given to the non-researcher public are listed on my CV, downloadable through the menu above.